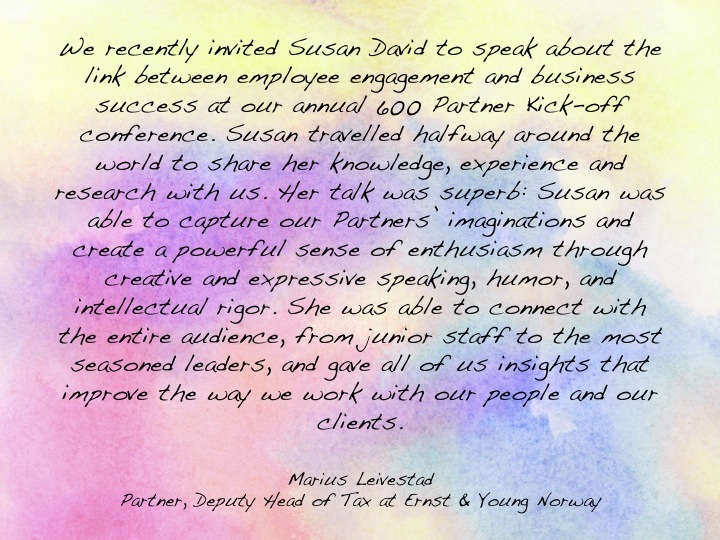 Dr. Susan David, founder and CEO of Evidence Based Psychology, is an internationally sought-after speaker. 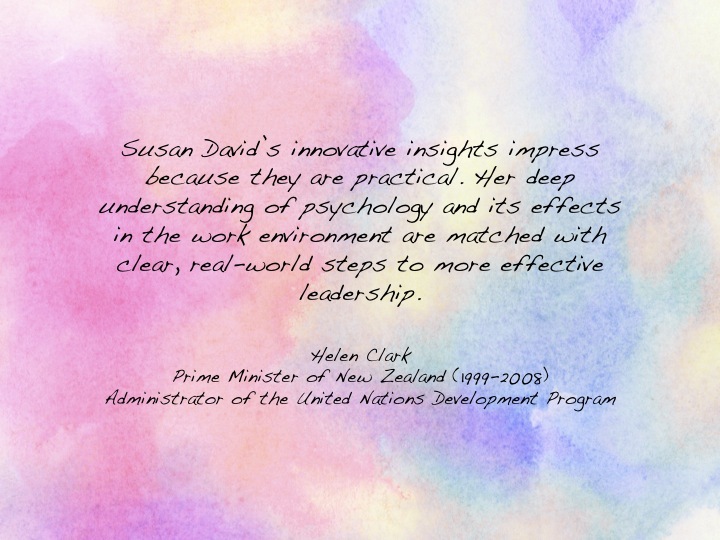 She delivers high-impact presentations to audiences ranging from c-suite groups to thousands of people that draw on her expertise in psychology and her practical experience advising global organizations. The surprising truth about why even smart people get stuck, and how to transform the way you live and lead. Counterintuitive leadership skills that matter most to being successful in the c-suite. 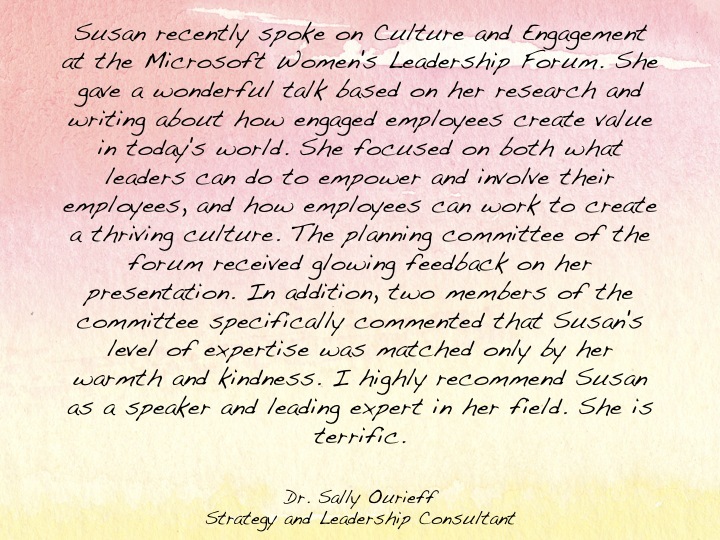 The keys to female success, confidence and contribution in male-dominated corporate environments. What fuels workplace motivation? 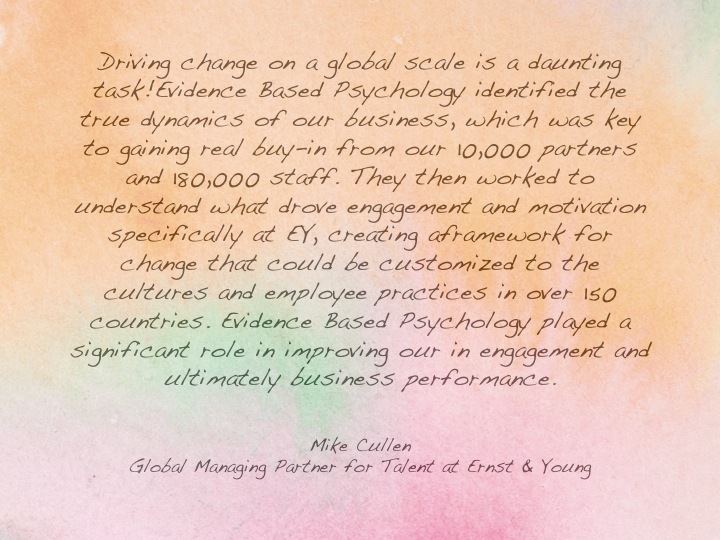 Our research on thriving, engaged teams reveals unexpected answers. The professional’s toolbox for navigating a landscape of increasing complexity. How to harness the emotions trifecta – confidence, compassion and courage – in challenging situations.